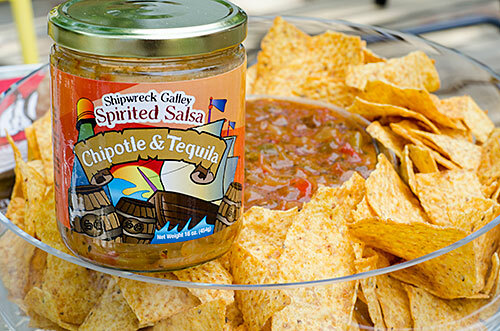 The fall football tailgate season is perfect for testing out salsas and snacks. Its a chomping season for sure. 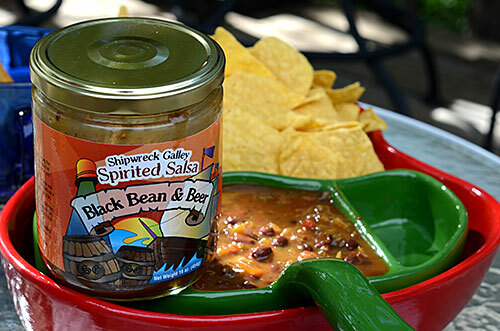 This past tailgate I busted out two salsas by Shipwreck Galley Spirited Salsa. Both were absolutely fantastic. The Black Bean & Beer was chunky and full of flavor. Not hot, but plenty flavorful. The Chipotle & Tequila salsa was wonderful. Loved every bite. Secretly I wished that the other tailgaters wouldn’t like the salsa and that I could bring it back home to have all to myself. That plan didn’t work. They chomped it all up, not leaving a single bite.